Effortless operation. Ultimate convenience. Superior performance. 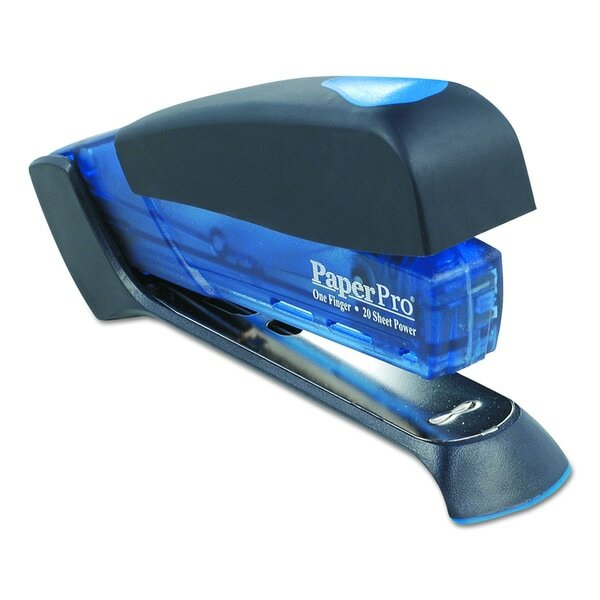 With the push of a finger, staple up to 20 sheets of paper with its unique One-Finger Stapling Technology. Ergonomic, easy-to-use stapler is a space-saving alternative to traditional bulky, reduced-effort staplers. Lightweight for comfortable handling and opens for bulletin board tacking and crafting. Staple jam-free design makes stapling painless at work, your home office or school. Stapler Type: Full Strip; Staple Capacity: Full Strip (210 Staples); Size of Staple Used: 1/4 inch; Type of Staple Used: Standard.